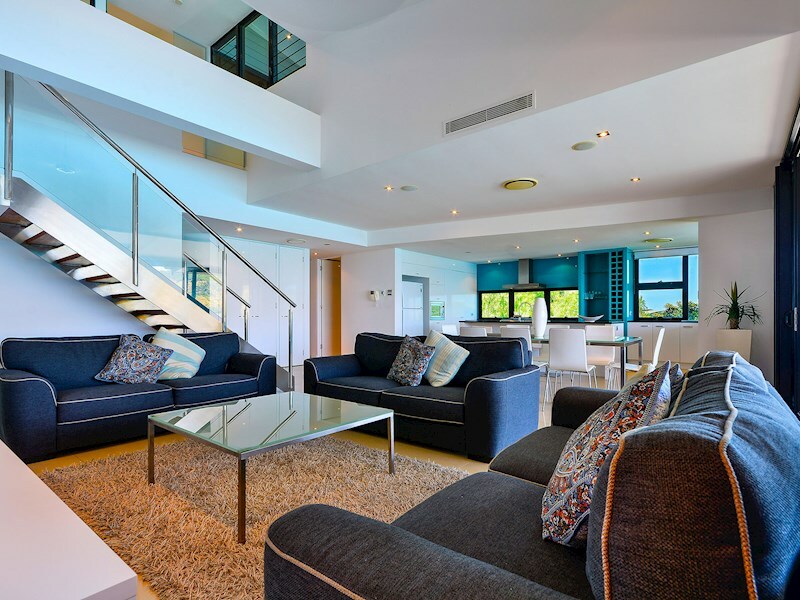 Sophisticated three bedroom designer apartment. 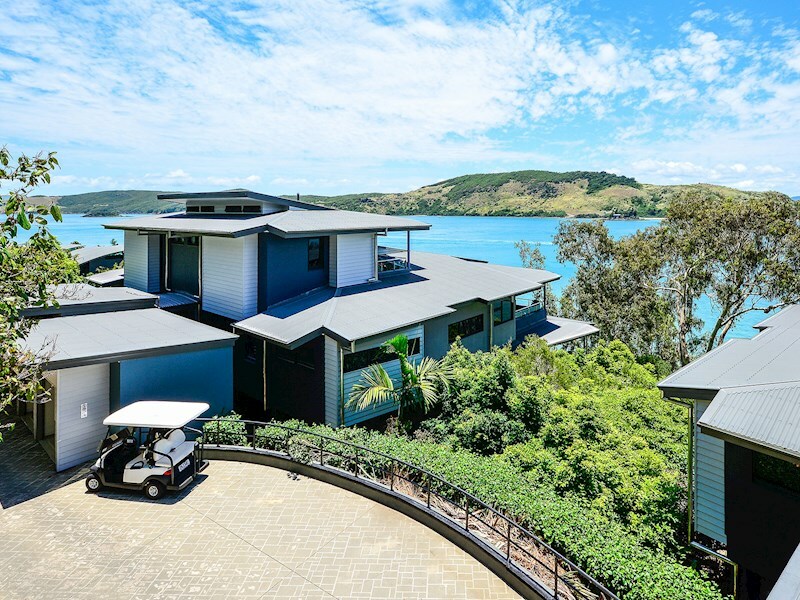 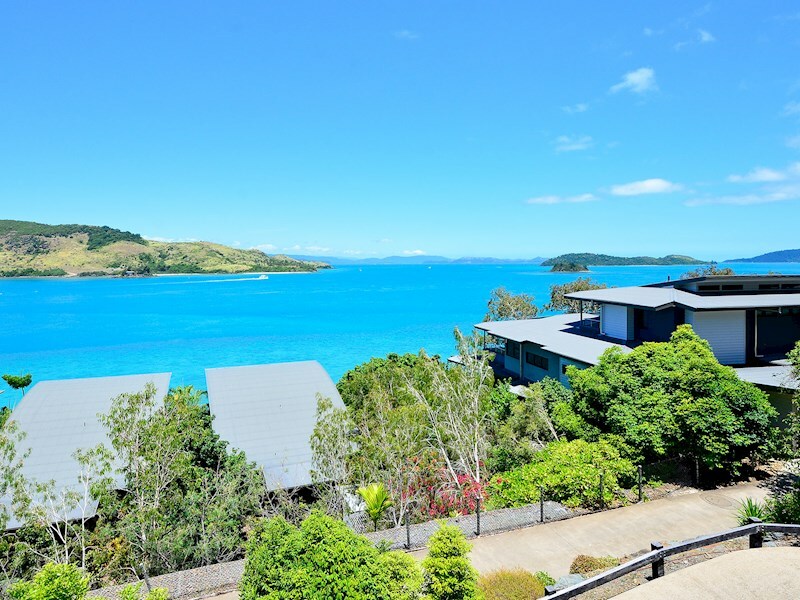 With incredible views across to Dent Island, this luxurious three bedroom apartment is ideally located on the marina side of Hamilton Island. 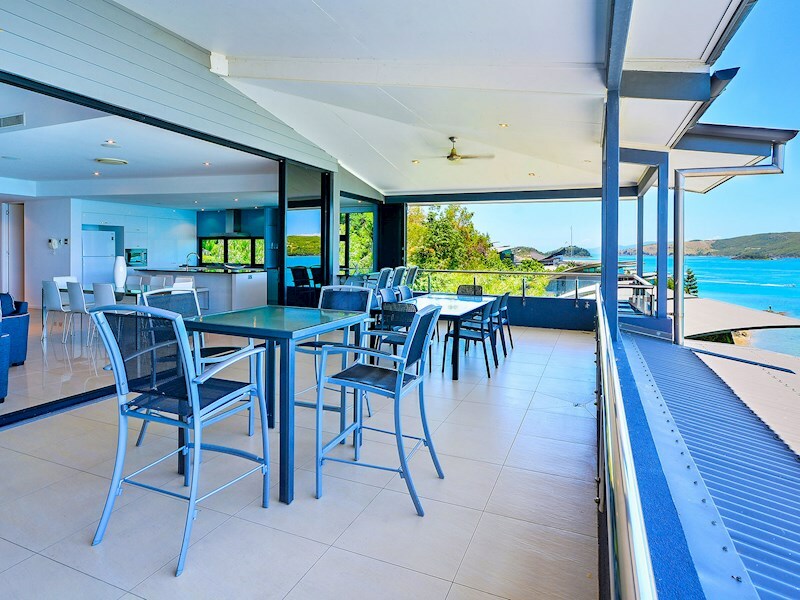 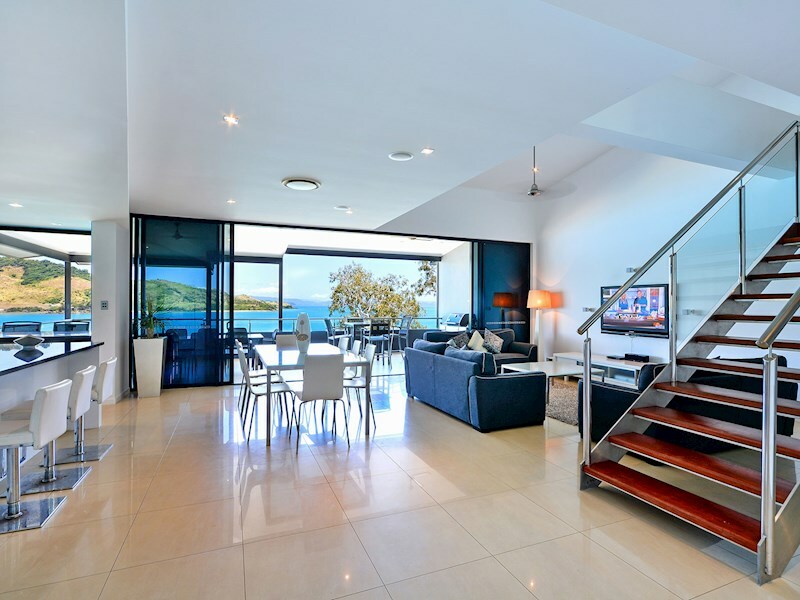 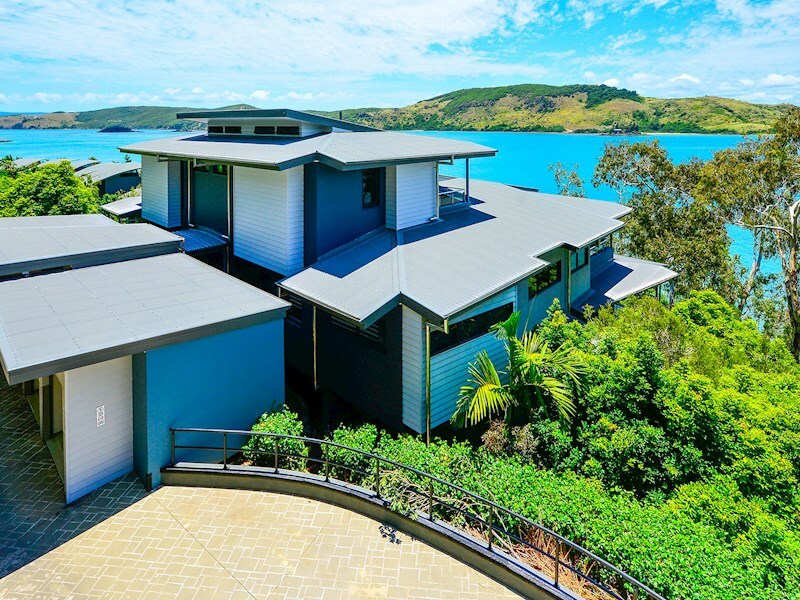 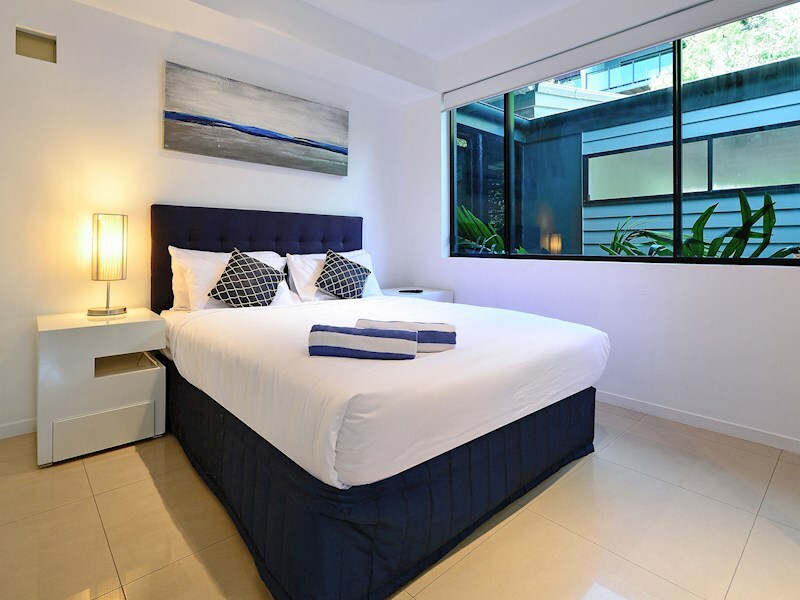 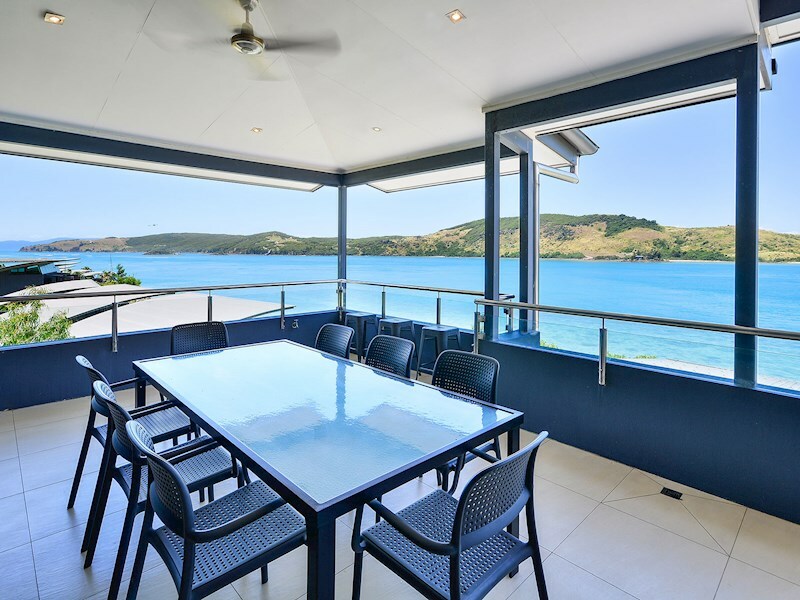 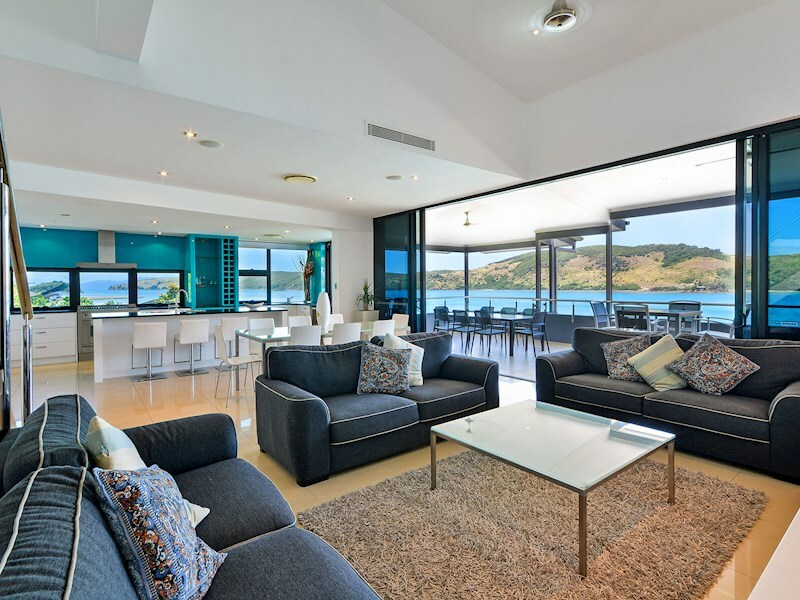 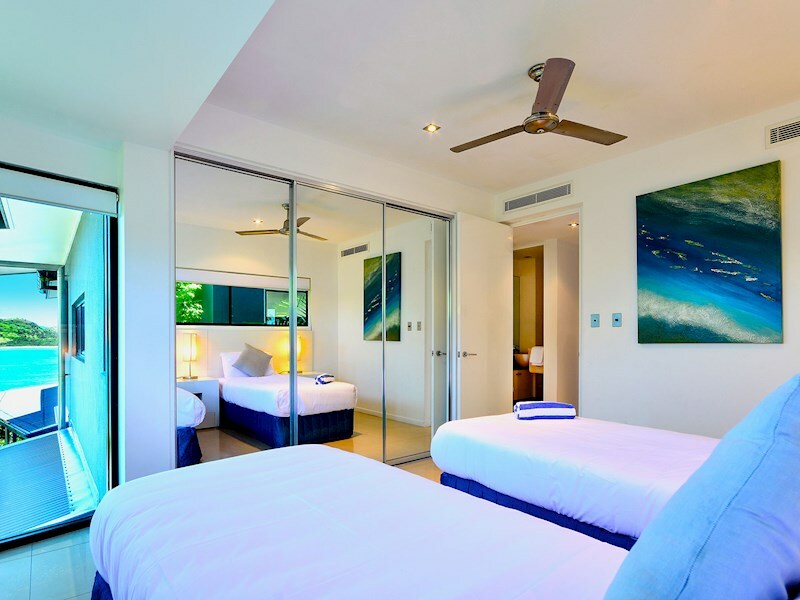 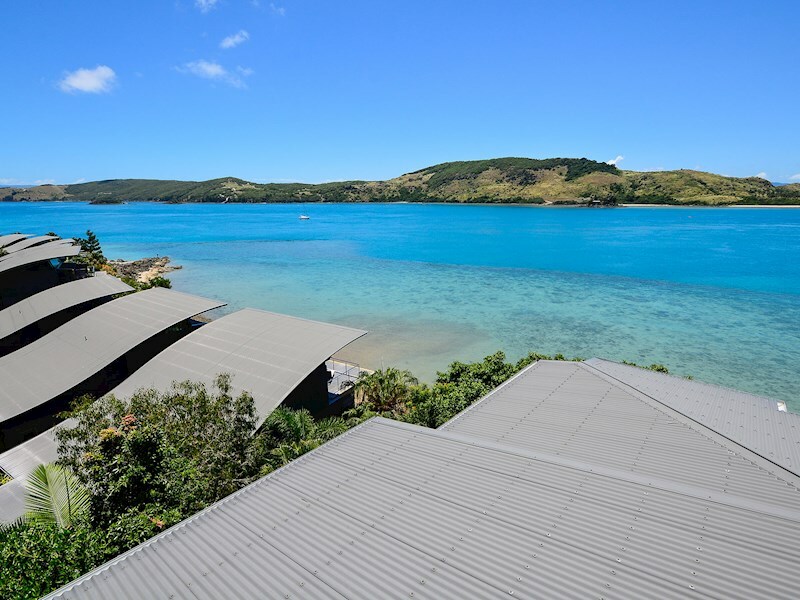 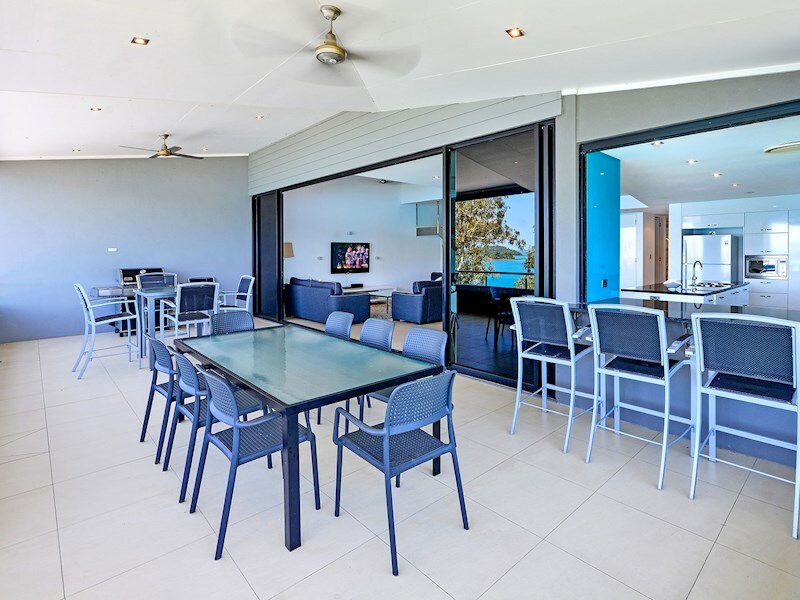 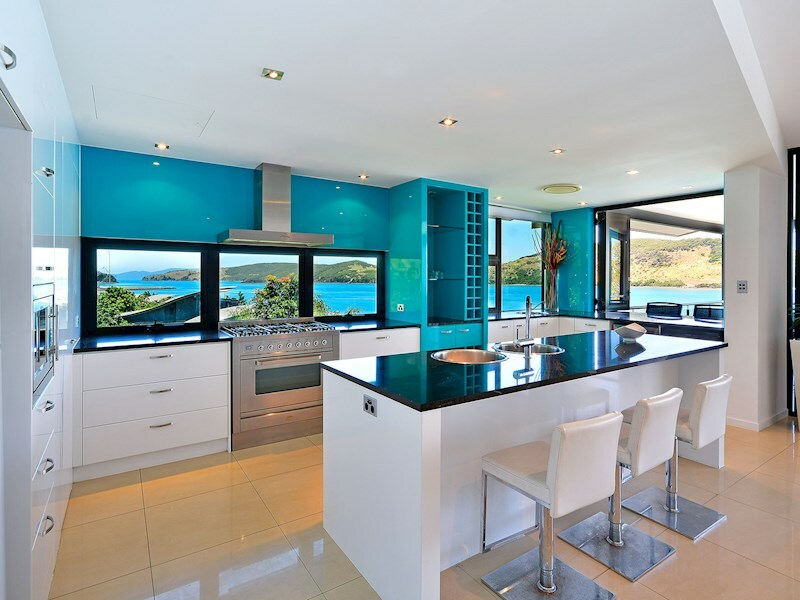 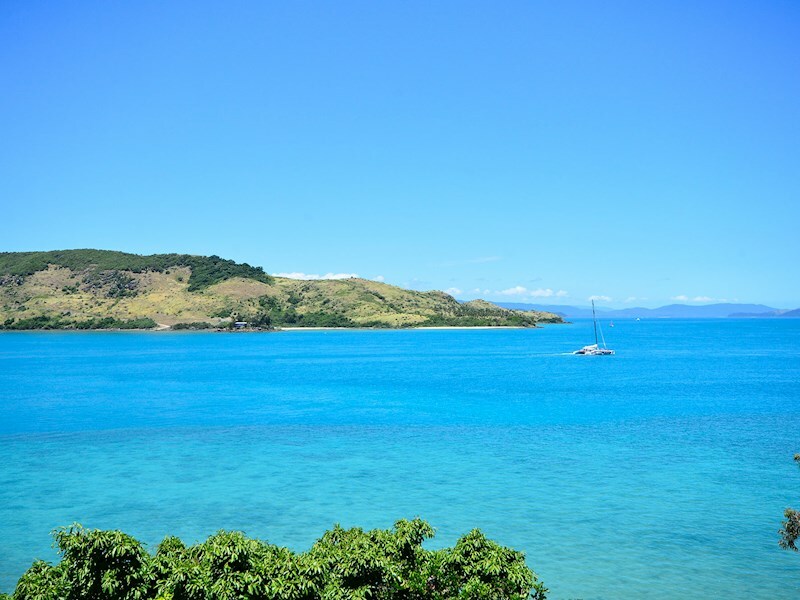 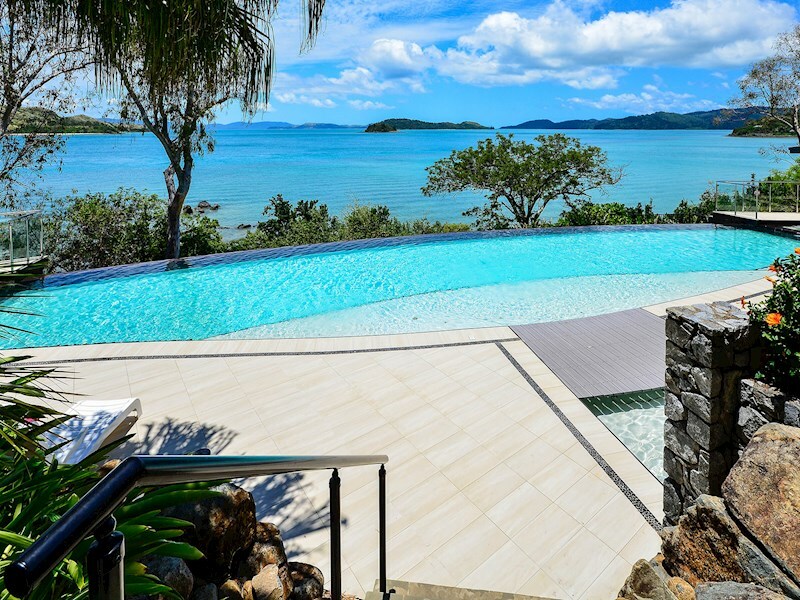 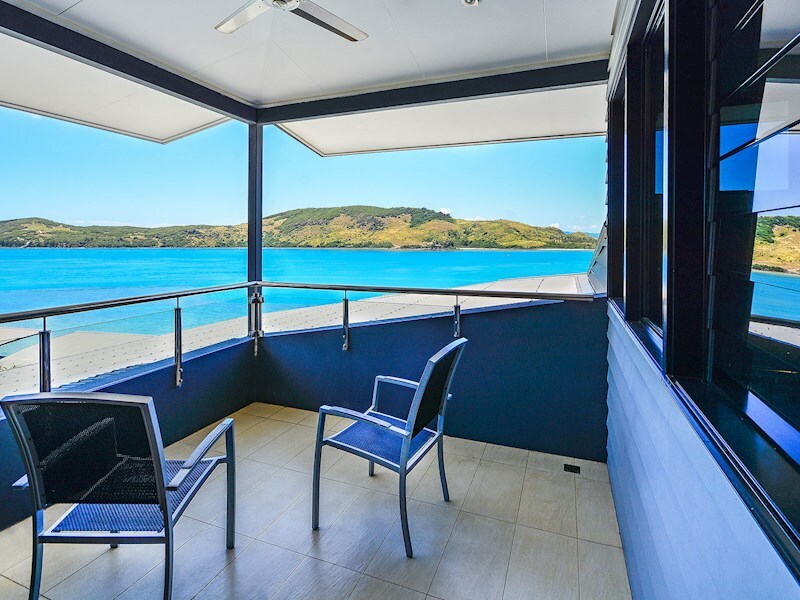 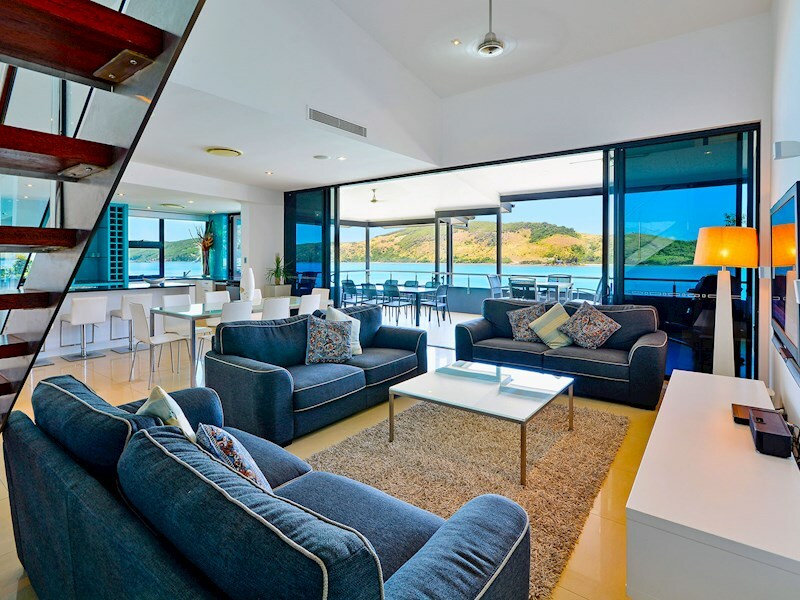 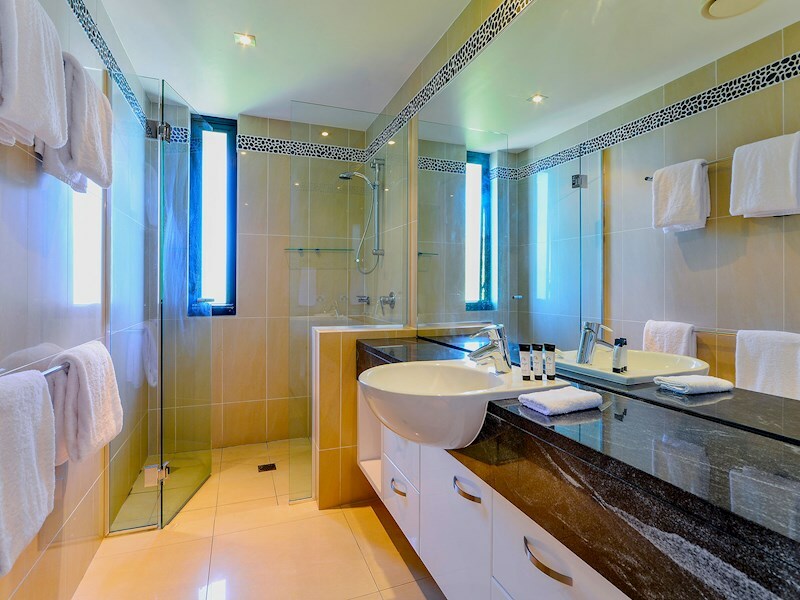 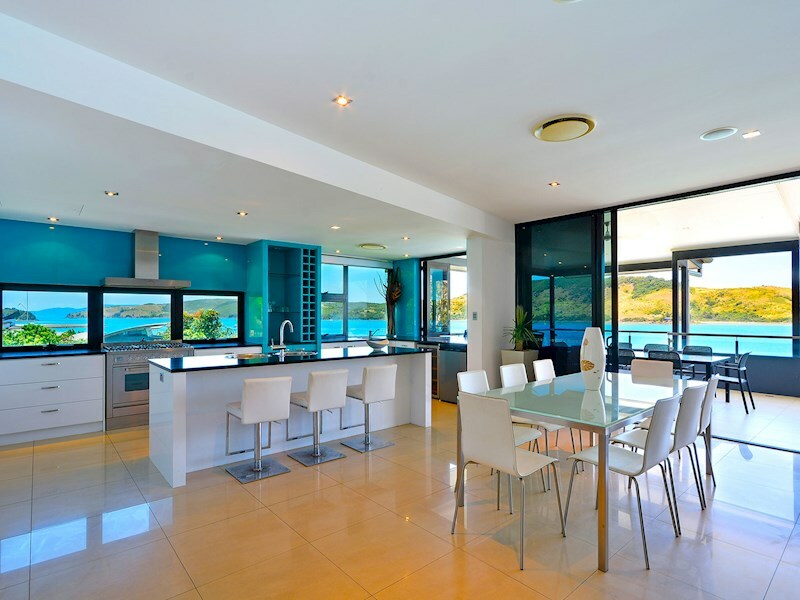 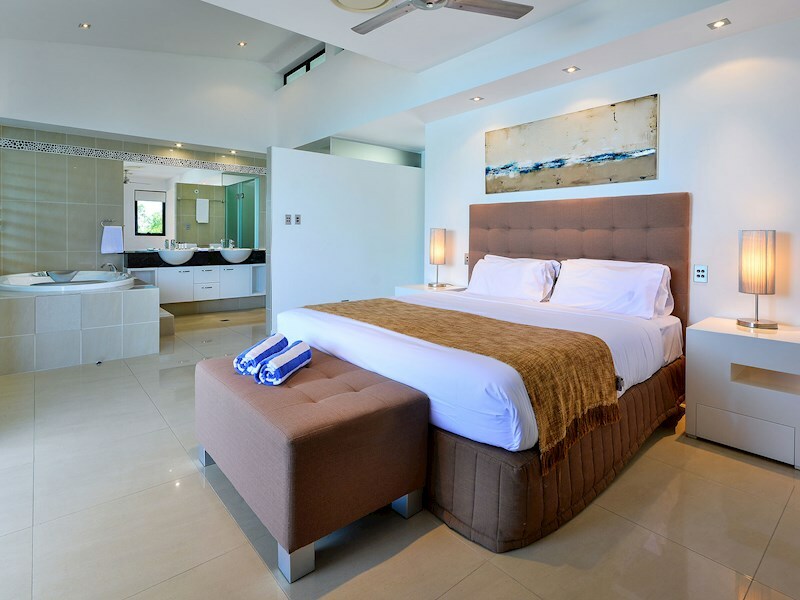 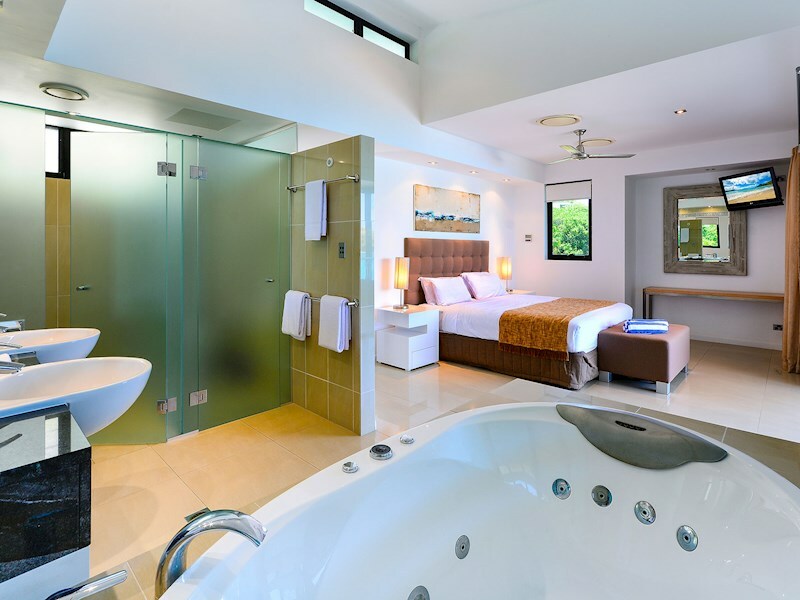 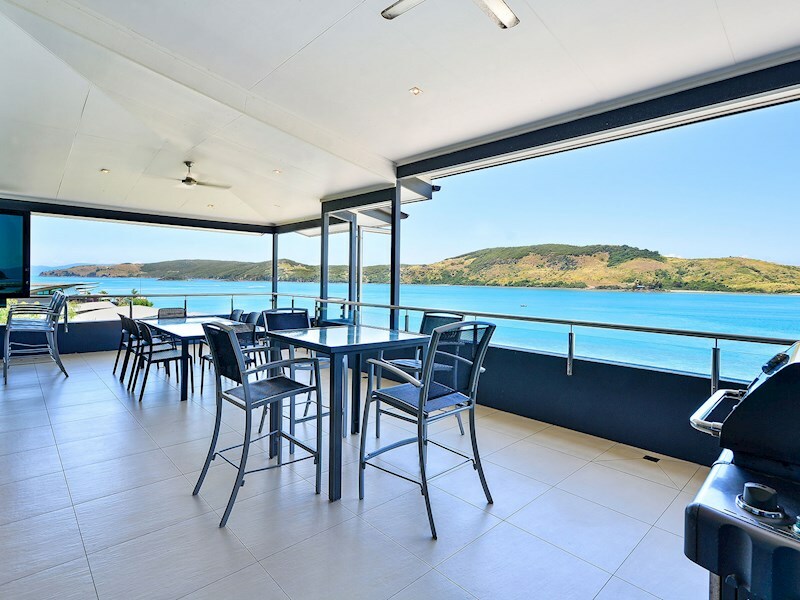 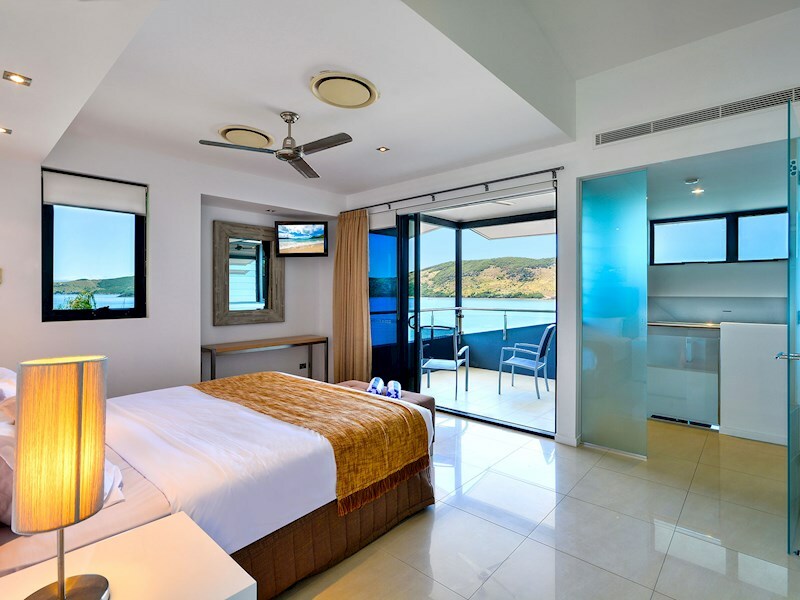 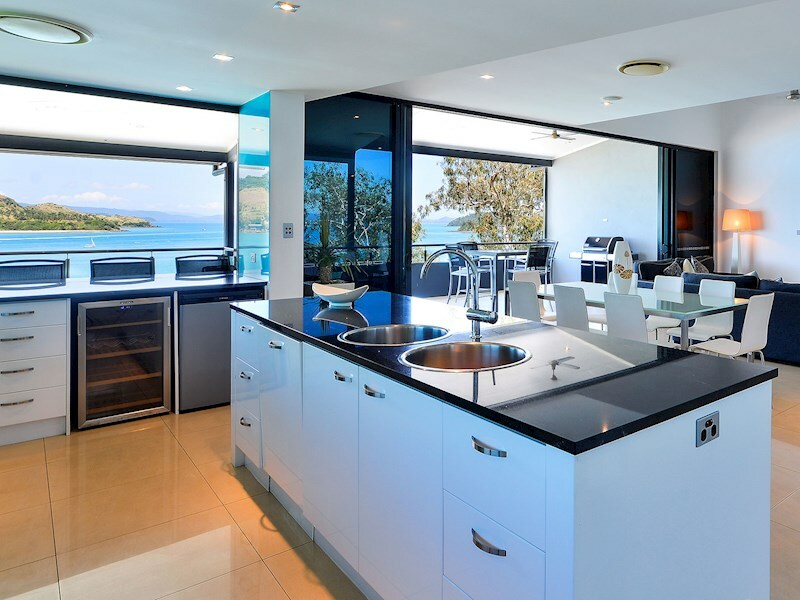 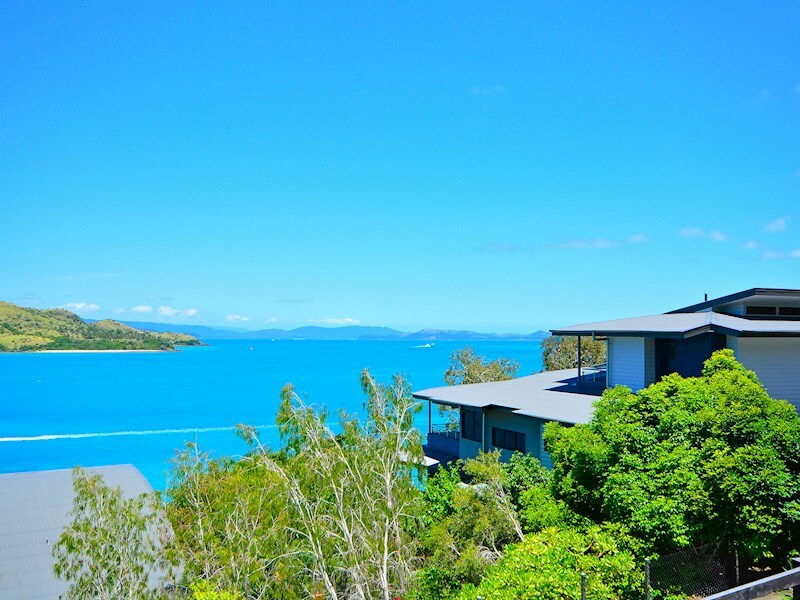 Admire the turquoise Whitsunday waters from almost every angle in this luxury holiday apartment. 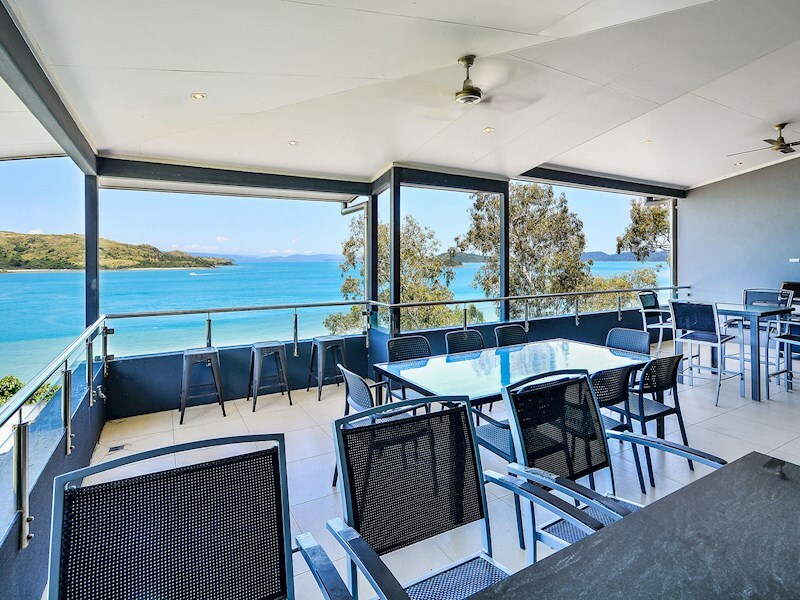 Conveniently located on the marina side of the island, you're just a short stroll to fantastic cafes, restaurants, take-away venues and shops, and a short buggy ride to all of the island's other key attractions. 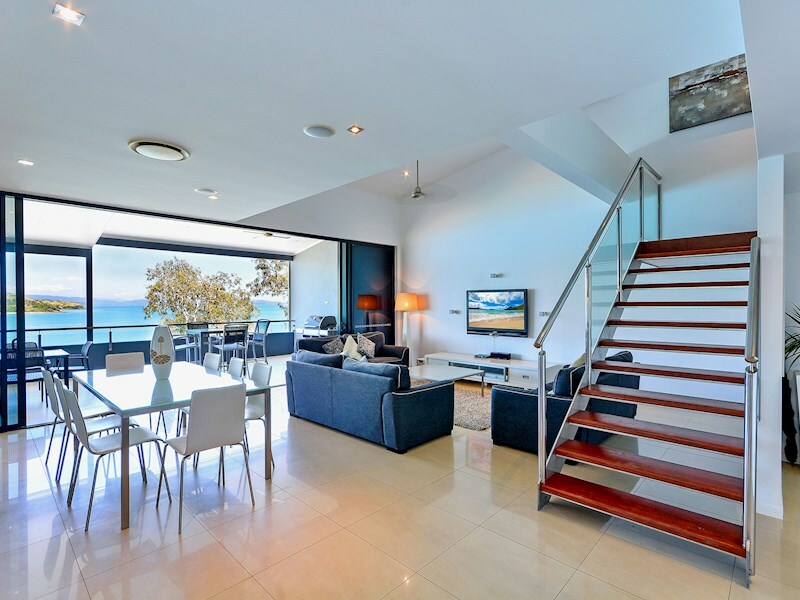 Set over two levels, and with three generous bedrooms and two bathrooms, this large apartment has plenty of space for couples, a family or group. 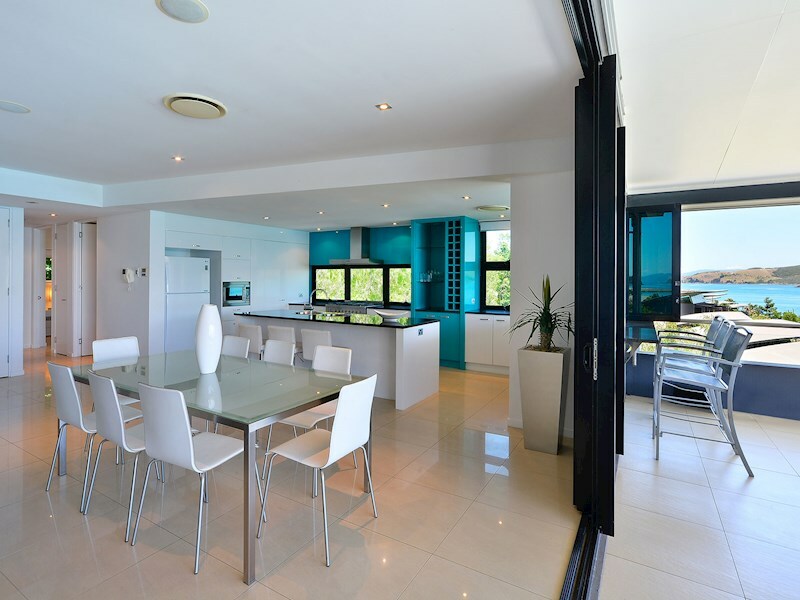 This bright, open plan apartment includes white designer furniture and sleek, marble tiles throughout. 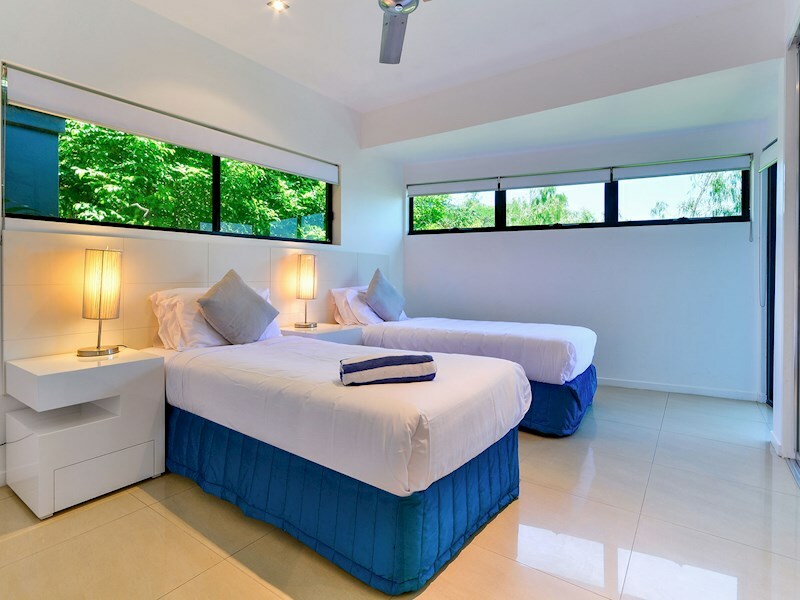 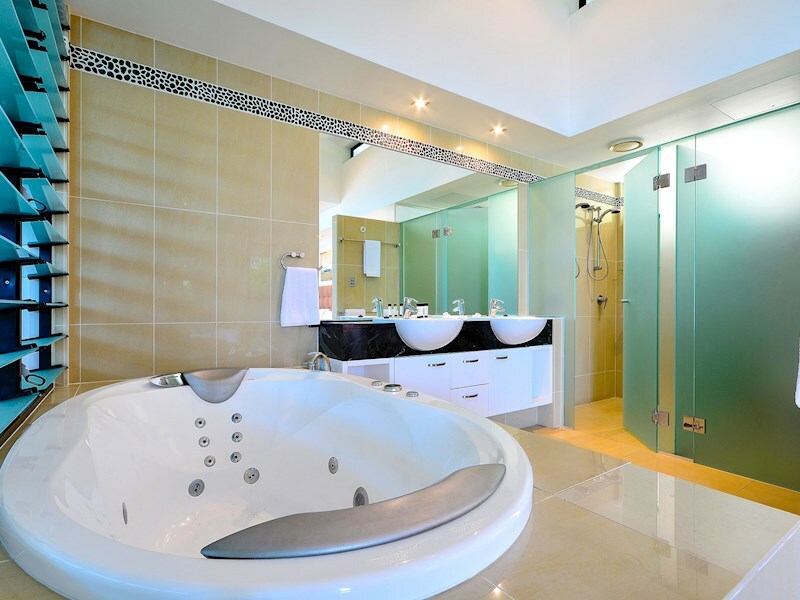 There are also comforts such as air-conditioning, ceiling fans, a clothes dryer, full oven, washing machine and plasma TVs in all bedrooms. 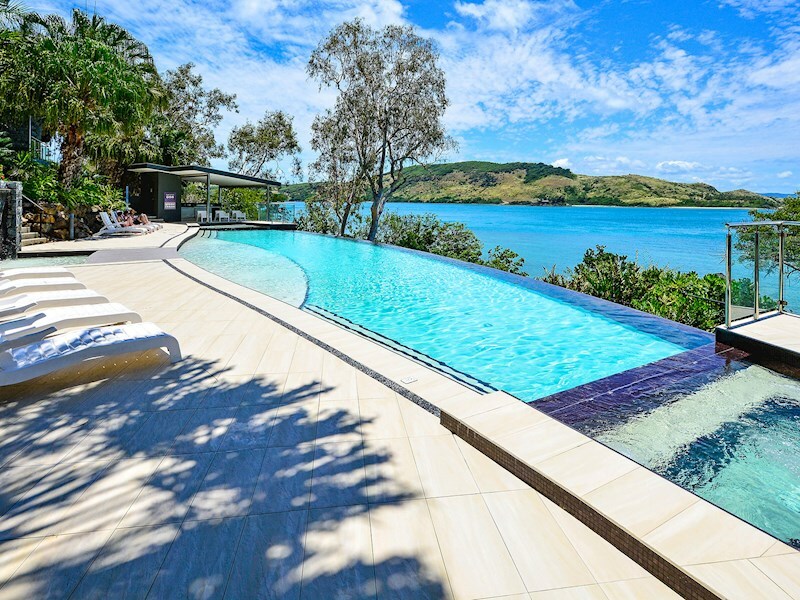 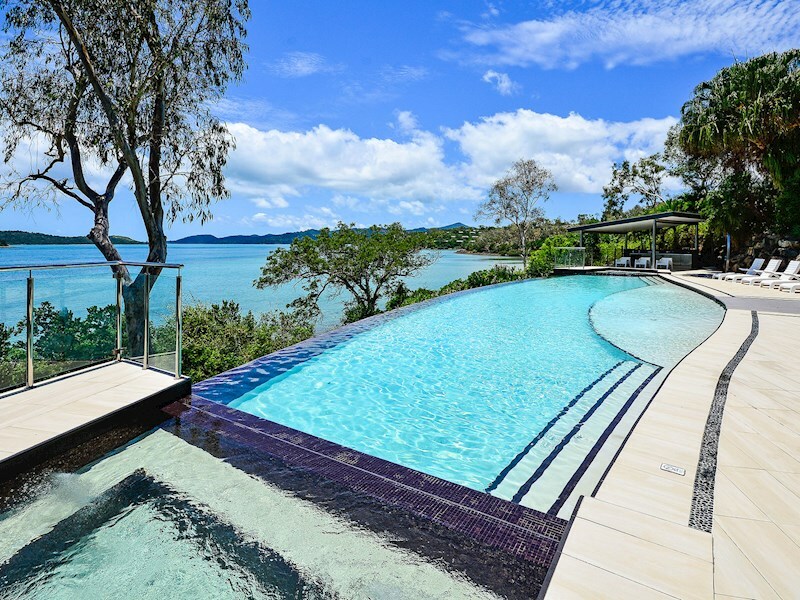 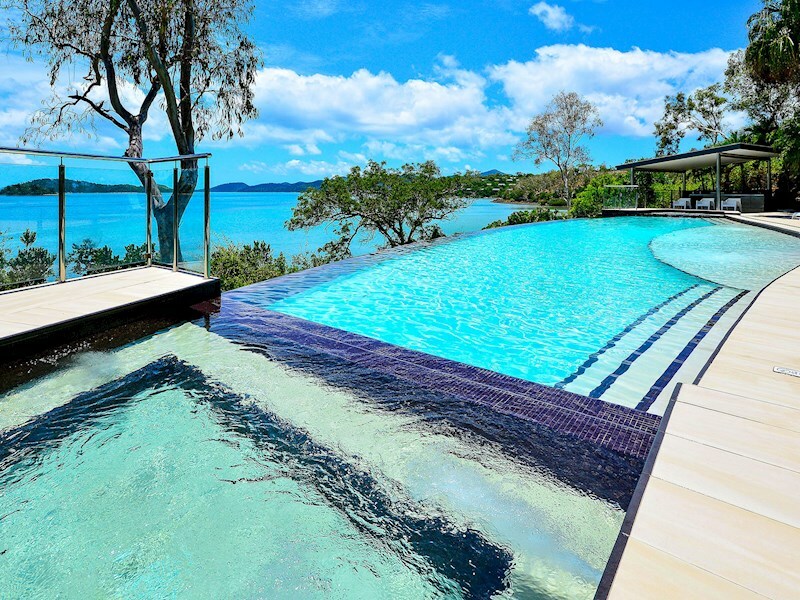 Take a splash in The Edge's elevated infinity-edge pool, which also has spectacular views out over the Whitsunday waters.